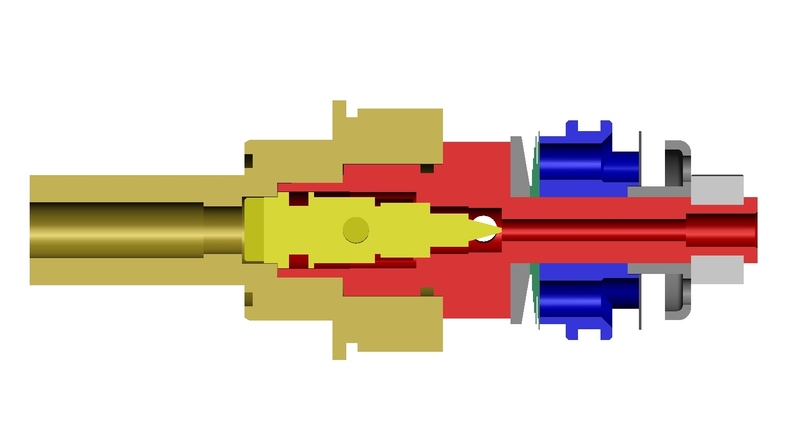 Custom Valving and Midvalves are included in all our Cartridge Kit Assemblies. These are only needed if you want to change or modify your set-up down the road. MidValves will prevent fork dive from heavy braking, jump faces or rolling bumps. The MidValve tuning kit contains an assortment of shims that can be stacked in front of the rebound check plate to vary the stiffness of the midvalve. Also spacer shims are provided to allow the check plate to limit the flow on very low speed fork movements by reducing or increasing the gap or "Float" that the check plate can open. and check plate will open completely allowing the MidValve to flow more oil without any harshness. 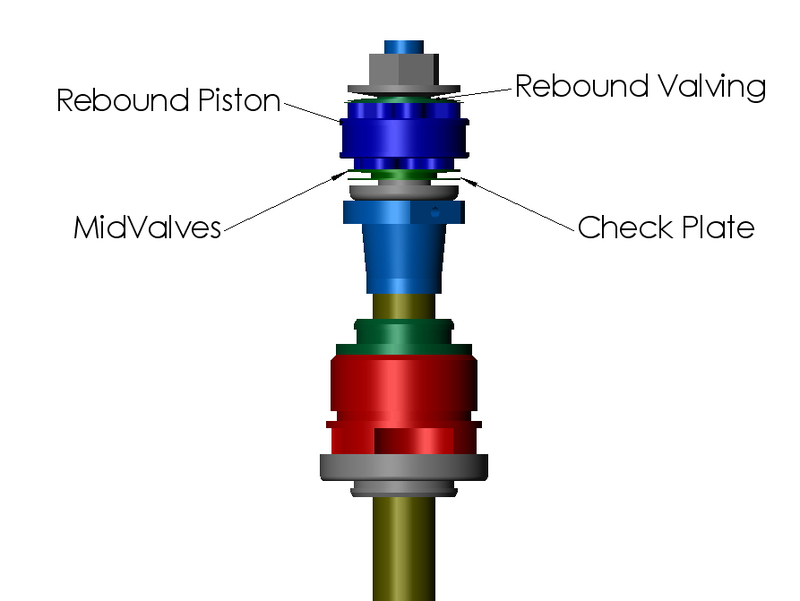 The MidValve can be tailored to your type of riding by changing the shim configuration to increase the gap or "Float"
and or change the stiffness of the stack to determine at what speed the MidValve transitions to a check valve. If you install it yourself make sure you have the proper tools for disassembly or be sure to add them to your cart.